Selected grades of coconut shell are used in cigarette filters to remove undesirable constituents from cigarette smoke all while not influencing the flavor and aroma characteristics and while meeting very strict specifications of cigarette producers. Calgon Carbon sells moisturized and non-moisturized granular coconut carbon to manufacturers of cigarettes and cigarette filters to remove carcinogens and other toxicologically harmful ingredients from tobacco that cannot be eliminated through regular carbonless filters. The carbon filters come in a solid plug form (Cavity filter) or dispersed within cellulose acetate tow (Dalmatian filter). 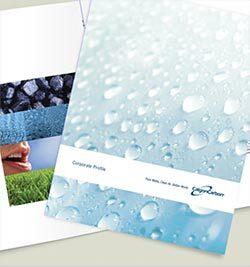 Calgon Carbon can control moisture content based on customer needs. Typically made from selected grades of coconut shell and produced under rigidly controlled conditions by high temperature steam activation, Calgon Carbon’s granular activated carbons are of food grade quality and comply with all current tobacco ordinance specifications.